Find My Workspace lists over 95% of the serviced offices market in Riyadh. Simply click Request Quote to check pricing for one office, or Add to Basket for multiple offices. This centre presents all the amenities required for the smooth functioning of your business. You can rent an office, a floor or the entire building. You can choose your interiors and have the space specially adapted for you. You can have your own private entrance with underground parking facilities for your staff. The project will house a cluster of artistically designed buildings to meet the needs of industry’s in every sector – whether it is a small, medium or large sized company. The aim is to provide convenience, space and ease with complete privacy. 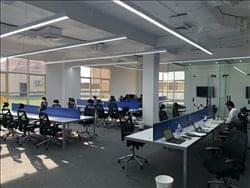 This brand new business centre boasts an advanced and modern concept with vibrant and natural settings that offer a variety of work environments designed for a unique business experience. The starting price of offices are affordable, with flexible terms allowing you to stay however long or short you want. There are excellent facilities and in-house services to benefit from, including telephone services, administrative support and a team of multi-lingual staff to support you with your queries. There is a stunning reception staffed by a professional team, to greet your guests, take care of your mail and much more. All work stations benefit from high speed internet access, telephone systems and printing/copying facilities. This business space offers a great community for tech start-ups. With a total of 140+ start-ups housed in these offices there is a large network of like-minded individuals from whom you can learn. You can grow together in collaborative workspaces and make the most of your productivity. Offices come fully equipped and ready to use, with access to meeting rooms, high speed internet and printing areas. The building is accessible 24/7, making your workspace as flexible as you. There is also a kitchenette for your use, and an impressive reception area manned by a friendly and professional receptionist. The space holds weekly events to enrich your experience, with various guest speakers from different backgrounds delivering content to expand your knowledge. Contracts are flexible and month-to-month, making the space ideal for new companies or companies with high growth. This is an impressive business centre situated in Riyadh, in the emblematic Hamad Tower. The work-spaces span across the 4th Floor of this incredible 200-metre tower and maintain good levels of natural light throughout the day. Tenants here can make use of the high-speed internet, business meeting rooms, air-conditioning and secure underground parking. In addition, the building is accessible 24-hours a day which enables tenants to choose working hours that suit individual business needs. The building also has disabled access facilities for those who require them. Virtual office options are also available to aspiring clients. This business centre is a new addition to the Riyadh real estate market, offering a fresh new solution to business spaces, whether you are a new start-up or a well established enterprise. Found in the heart of the business district there are plenty of opportunities for networking with neighbouring businesses. The centre offers a range of work spaces including offices, office suites with meeting rooms, coworking spaces with hot desking and virtual office options. Work spaces come fully furnished with an elegant design and plenty of natural light. A friendly on-site management team are available to make your day run as smoothly as possible by providing secretarial and administrative support, including telephone answering, reception services and mail handling. Other perks including high speed WiFi and telephone lines to keep you working effectively, and access to over 50 million global hotspots and business lounges so you can work whenever, wherever. 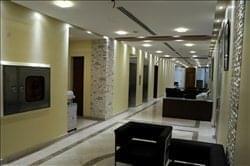 This office located right in the centre of Riyadh offers a private office shared with other individuals. The office comes fully furnished to a high standard. On-site there is a reception and waiting area where you can greeting your clients. If you meet with clients often you can also make use of the on-site meeting room, with 4 hours included in the monthly package! Your business can surely benefit from this centre’s 24-hour accessibility, so you can work through the hours you desire. This site also has administrative and IT support to help your business stay well connected, and operating as efficiently as possible. As a cutting-edge turnkey solution, this quality centre offers excellent, furnished offices available in the heart of city. This is a highly convenient and accessible location, with free internet and air conditioning as well as reception services that will greet and manage your visiting clients. You can remain well connected throughout your occupancy thanks to administrative/IT support on-hand. This centre situated in a new building have a beautiful interior and is ideal for small companies, entrepreneurs, start ups. Here, you can work with peace of mind with security available round the clock in the building. 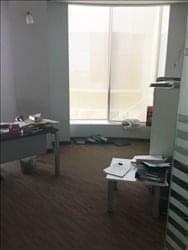 This centre offers beautifully furnished office spaces; available on flexible terms in a convenient location on King Abdul Aziz Road. The centre is situated in a new building with a huge car parking area and amenities such as air conditioning, internet access, a reception area and house keeping. The centre has a plug-and-play set up so you can walk right in with your laptop and begin working. The space is great for start-up and entrepreneurs. This spectacular tower forms part of the prestigious Al Faisaliah precinct, Riyadh’s landmark centrepiece. The 250 m tower includes a luxury 5-Star hotel, world-class shopping, entertainment facilities and impressive business facilities. Serviced office space of various sizes to fit your evolving needs. In addition to the office space step tenants benefit from security, maintenance and cleaning service. The turnkey solutions include planning, designing, managing, up-keeping, and ongoing provision of equipment and supplies. The first landmark of its kind in the capital, this office tower is comprised of 14 floors. With their solid, balanced architectural altitude, they convey magnitude, strength, and integrity – values that are reinforced by education and enjoyed by the wise and knowledgeable. The building has a 24 hour Security , Parking’s, Staff on site 7 days a week, rent includes utility bills. The building offers a great many features and facilities including kitchens and comfortable lounge areas, designed to make any work day more enjoyable. There are also plenty of shops and restaurants close by which provide ideal venues for more informal business meetings and lunches. Offices are fully furnished and serviced, and are ready to use and well-equipped for business with high speed internet access and dedicated phone lines. Offices range in size from smaller individual work spaces to larger team office suites, and are available on a flexible basis to suit the needs of any business. Meeting rooms are available, and range in size to accommodate any group for client meetings, conferences and presentations. The latest videoconferencing technologies are available. A virtual office service deals with call handling, mail forwarding and administration in the name of the business. Located on King Fahed Road the Moon Tower found in the central business district of Riyadh offers 27 storeys. You will find yourself neighbouring several multinational companies which will allow you to expand your professional networking and business contacts. You can choose from a range of contemporary offices including window/interior offices, office suites with meeting rooms and coworking areas with hot desking. A range of break and lounge areas and further communal areas will allow you to relax during your busy working day, and on-site management team is available to provide personalised support. There is a reception service with telephone answering and mail handling for your convenience. Other benefits of this centre include an all-inclusive fee, so there will be no hidden fees at the end of the month to catch you out. High speed WiFi and telephone lines will keep you working as efficiently as possible, as well as giving you access to over 50 million global hotspots. Amongst the tallest buildings in the world, this building was voted Skyscraper of the Year 2002. This is a quality complex, consisting of a 33-storey tower and east and west podiums, with offices on 28 floors, shopping, a 5-star luxury hotel, exhibition and conference centre operated by Four Seasons, a wedding hall, and residential apartments; assuring comfort and accommodating services throughout your occupancy. You can take advantage of many facilities here that will enable the success of your company. For example, there is IT support and reception services, as well as onsite parking, making commutes as simple as possible. This functional, modern business center consists of 90 office suites, offering a number of high-quality services and facilities such as fully furnished offices, spacious meeting and conference rooms, a peaceful lounge room, state-of-the-art Internet and network access, professional and friendly reception services and 24-hour access/security. The offices are fully furnished serviced offices, with no upfront large payments for annual rent, fit out, office equipment, IT and other pre-operational expenses. With a fully equipped boardroom and fully managed and multi lingual reception and secretarial services. In the contemporary business environment, the offices that your business occupies and the company you keep are reflective of who you are and how you go about your business. 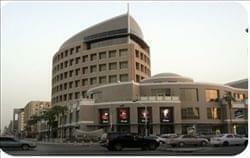 Introducing a distinctive commercial complex set in the business heart of Riyadh. 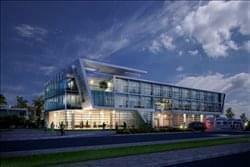 The complex has been designed with world-class organisations in mind, and we are confident that its unique mix of SMART technology, modern design and exclusive location will provide your business with a platform for success, innovation and superior performance. 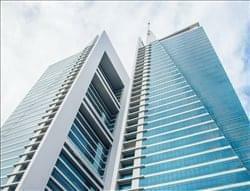 These towers are situated in a unique location where the highest Grade A office buildings and high-end retail area is found, characterized by its proximity to major commercial towers & malls. The site has a competitive advantage represented by its proximity to government institutions & ministries as well as the major retail area in Riyadh City. 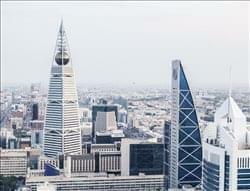 Moreover, the towers have a unique view because neighboring buildings are considered to be smaller, except for Kingdom Centre & Faisalia Tower. These serviced offices can provide a stylish, professional image for your business, for an all-inclusive fixed monthly fee, guaranteeing you complete financial control. With 24-hour access and security round the clock, you can work through any hour you desire with peace of mind; perfect for companies with international clients and contacts across different time zones! In addition, you can benefit from a range of facilities at this modern centre, such as conference facilities, copy and printing facilities, and postal services/mail handling. As a cutting-edge turnkey solution, these furnished offices also come with reception services for your convenience, boosting the efficiency of your operations. 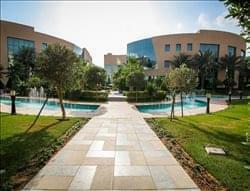 In a stunning tower in the Saudi Arabian capital, these business premises offer a prestigious address. The offices are located on the 13th floor of a modern tower in a mixed-use business park. 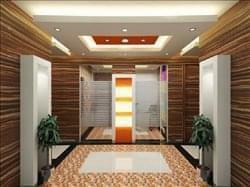 The offices are well-designed and provide an attractive space in which for you to work. Your business can benefit from the centre’s 24-hour accessibility with CCTV security for your peace of mind. There is shared internet, as well as IT support on-site to ensure that you stay well connected in order for your company to operate as efficiently as possible. In addition, there are breakout/lounge spaces in which to network with coworkers in a relaxed setting. To obtain information for your selected Riyadh Serviced Offices, please tick the "Add to basket" box for each office you prefer and complete the form below. We will then send a detailed report via email.